It goes without saying that no one would enjoy the thought of having their home infested with bugs. Though they may seem like a small annoyance at the beginning, once they have multiplied to an unmanageable level, then it is ‘doomsday’ for you. Well, one way or the other, you will find these pests in your kitchen, living room or bedroom. The best approach to control them is to eradicate them immediately after you have sensed their presence. It is hard to know if your house is infested with these troublemakers. Their small size and speed make it hard to terminate them when they multiply. Therefore, do not wait until they form colonies; try to eradicate them when they first appear in your home. Although it is hard to know if your house has these pests, these five tips will help you to find out if your house is free from these unwanted visitors. Pests will often feed on whatever you have in your home, which also means that they will also leave droppings behind. Once this has happened, it means that the situation has resulted in an undesirable outcome. Despite this, it doesn’t mean that its the end of the world. Instead, you should take this chance to catch them and remove them from your home. Their droppings are not that hard to spot, they are usually in the form of small black particles in your kitchen or living room, which is a sign that bugs are living in your home. It may seem unsightly at first, but it’s much better to take this opportunity to remove them entirely, rather than allow them to multiply. Bugs breed very fast. Once they are satisfied with your food, they will naturally concentrate on breeding. For example, a bedbug can lay hundreds of eggs per day when fed well with your blood. Within a year, you will be forced to vacate your home unless you eradicate them on time. Although bugs try as much as possible to hide their breeding areas, they are not impossible to find. Do sufficient research, find their nests or breeding areas, and thoroughly terminate them. Bugs and rodents, in particular, will always follow the same routes each day as they go out to feed on food. As a result, they will usually leave tracks and evidence as they move around. You can quickly notice these tracks with the grease that they leave behind. Aside from grease marks, you should also look out for urine trails, faecal droppings and footprints that are often left behind as well. Most likely, these are signs of a possible infestation so keep your eyes sharp and spot them so you can eradicate the breeding site. Bugs can mess up your furniture and other items. They do not value your possessions; your priceless sofa set can be destroyed by insects overnight. However, before you encounter a financial drawback due to pest infestation, you should detect their presence on time and kill them. It’s time to put your nose to work as it is easy to spot these pests as long as you make use of your sense of smell. Bugs have their odours due to the droppings they leave behind. It may seem gross and unpleasant, but this is actually one of the critical things to spot if you want to find out where the bugs are. Without finding their breeding location, you won’t be able to eradicate them. 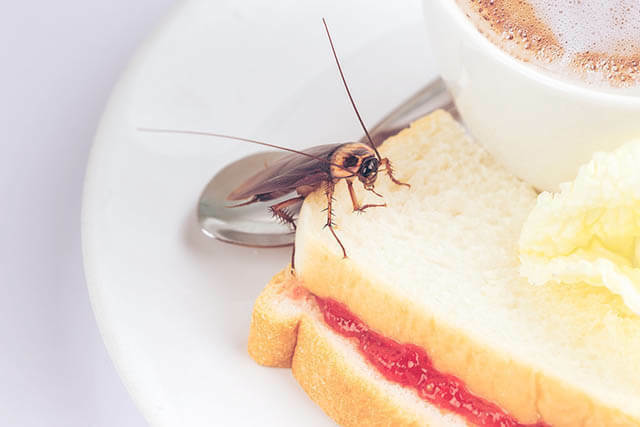 So, once you’ve realised that there is a strange smell in your home, then it would mean that it is time for you to investigate and see if you have bugs hiding somewhere and take the necessary measures. Taking down these hints and applying them will indeed be an effective way of spotting these bugs and eradicating them. But in worst case scenarios where they have clearly grown an army, then it would mean it’s time to call for help from a company that handles such services like bed bug control and enjoy your peace of mind.